In addition to the accompanying events: the 10th International Wine Fair BeoWine, the 15th International Fair of Hotel and Catering Equipment HORECA-EQUIPMENT and the 15th Souvenir Fair “Experience Serbia”, the 41st edition of the International Tourism Fair in Belgrade offered the best insight into the current situation in the field of tourism, hotel management and catering, and opened new perspectives in development of tourism industry. As announced, with the introduction of significant novelties in domain of business visit, a fair made a step forward and abetted communication between exhibitors and business visitors. 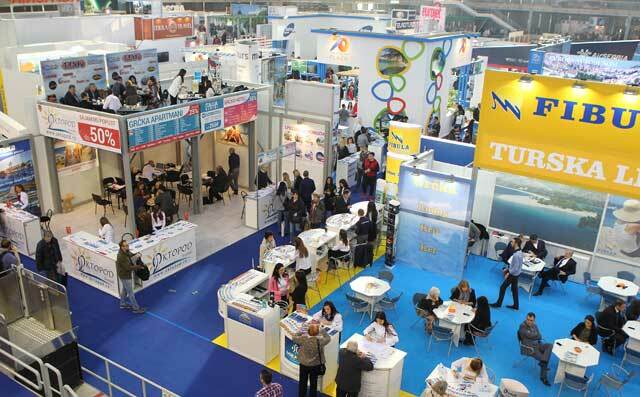 More than 650 direct exhibitors and co-exhibitors from 38 countries presented tourist offer and accommodation capacities, culture and customs, wines and delicacies in halls of the Belgrade Fair, under the slogan “Sumer is closer than you think”. Together with business guests, a total of 40 states were present. Altogether, more than 900 exhibitors and 64,619 visitors took part in all four events.